Hello from West Michigan! After a glorious (and busy!) nine weeks in South Africa, my family and I are safely back in the States. Thank you so much to all who prayed for our travels and our time away. It was such a blessing to be there, and we’re so grateful to have had the opportunity to reconnect with family, friends, and places we love. If you’re new to the Five Minute Friday writing community, a special welcome to you! We look forward to getting to know you better, and we invite you to join our private Facebook group here for deeper fellowship with likeminded writers. To learn more about how the weekly blog link-up works, visit this page. Join the Five Minute Friday writing community as we write on the prompt, LOVED. It is a remarkable thing to be loved. I have felt it acutely in these past nine weeks — countless encounters with people who sincerely care, bookended by two airport scenes: first, a surprise welcome in Cape Town by a crowd of dear friends; then, a surprise appearance by my sister who drove three hours to pick us up in Chicago when we thought we’d have to rent a car to drive back to Michigan ourselves. I scroll through Instagram and pause at a photo of my friend’s daughter holding a note from her mom: Live loved. What would it look like if we lived as though we were loved as much as we are by the One who flung the stars into the sky and spared not His only Son so we could be saved? I’ll ask again: What would it look like to live loved? How would your fears, doubts, and insecurities melt away if you truly lived as though you believed and trusted in a Love that will not fail, in a Love that cannot be separated from you by any power imaginable? What comes to mind when you think of the word, LOVED? 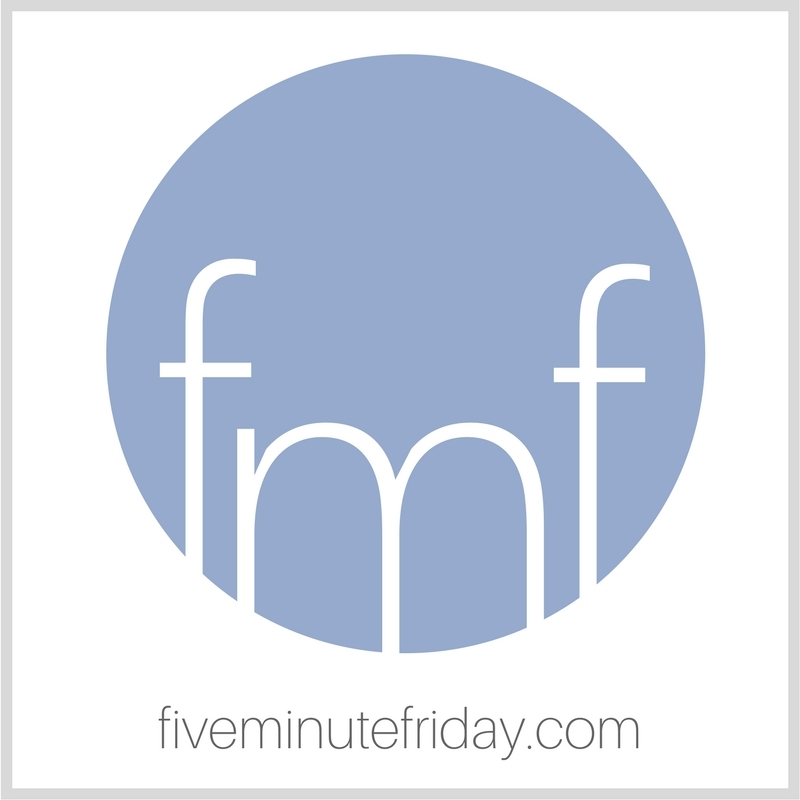 Share with @5minutefriday in five minutes or less! Join the Five Minute Friday blog link-up with your own five minute free write on the prompt, LOVED. I’m learning the living loved means loving big. Sometimes, it feels a little uncomfortable. But it feels right. Welcome home! I’m so glad you’re back! What would it look like to live loved? Why, that’s easy, K8…it would look like Strawberry. Strawberry is a baby Bullmastiff who came to us near death, too sad and weak to hold up her head. Now, surrounded by the love of us humans and a couple dozen canine brothers and sister, she’s a hellion, first to bark in the new day, and the last to go nite-nite. Bullmastiffs don’t mature until 3 years old or later. She’s not there yet…but she does way 100 lbs, and can put her paws on my shoulders. Living loved is living happy, confident, and LOUD. And we’re glad you had a good time, and glad you’re back. Speaking of LOVE – this community is filled with so many loving people. Thanks for creating and sharing the LOVE! Welcome home!! I so enjoyed following your trip a bit through IG….look forward to hearing more! !